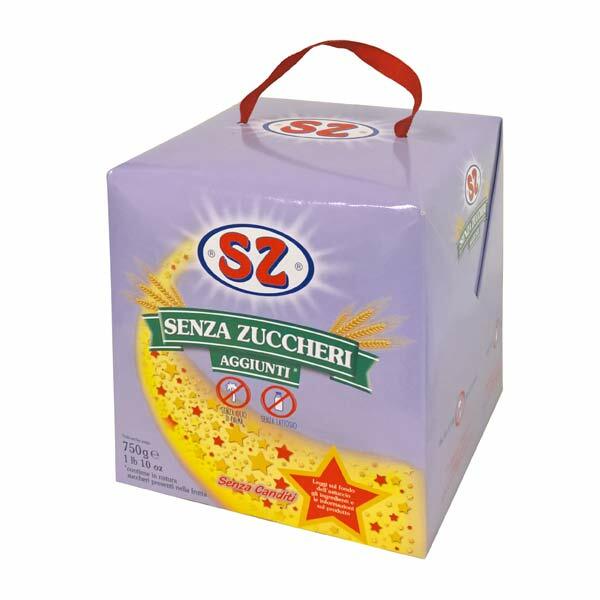 The famous PANETTONE without added sugar and without candied fruits, obtained with a completely natural leavening, enriched with sultanas raisins. It is a product aimed at family consumption. High quality ingredients, the delicate way of dough, the long natural leavening and the great care of our pastry chefs: this is the secret offering you a product full of goodness and taste. Sourdough bakery product, no added sugars, with sweetener. INGREDIENTS: flour (wheat, wheat malt), raisins 20%, fresh pasteurized eggs, sunflower oil, sweeteners: maltitol and maltitol syrup, natural yeast (contains wheat flour), emulsifiers: mono and diglycerides of fatty acids and soy lecithin, humectant: sorbitol, antioxidant: extract rich in tocopherol, salt, flavours. May contain traces of nuts and milk proteins. It naturally contains sugar. Excessive consumption may have laxative effects. Keep in a cool and dry place. Produced in Italy.